A graduate of Truman State University, Kevin J. Carr works as chief financial officer and vice president of administrative services for Southeastern Community College in Burlington, Iowa. 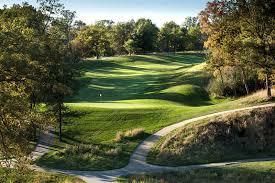 When not in his Iowa office, Kevin J. Carr enjoys playing golf, particularly at Spirit Hollow Golf Resort. In 1991, Randy Winegard purchased the land that eventually became the golf course and hired Rick Jacobsen as the architect to create the design. Their collaboration helped the championship course achieve ranking as the second-best course in the state by Golf Digest and Golf World. The course spans 7,550 yards, with more than 15,000 trees lining the fairways. Spirit Hollow Golf Resort hosts numerous events throughout the year, such as the fourth annual Rust Tee Open, held on October 28, 2018. This event let golfers play from the most forward tees, the “rust tees.” Golfers played their own golf ball for this regular-flighted event. Ian Nelson took first in the championship flight with a score of 66, while Dave Olberding came in first for the first flight with 85. For the second flight, Rod Oard came in first with a score of 94. All three winners walked away with a $60 gift certificate to the Spirit Hollow Gift Shop.